Spring is coming. We have our fingers crossed for sooner rather than later. But it’s Buffalo, so you really never know. Regardless of whether it’s a slow warm up or happens over night, spring is coming. It’s time to start thinking about your spring/summer bucket list. Pedal touring – whether it’s on land or water – is one of the most unique and exciting forms of transportation in Buffalo. So, we highly recommend adding this activity to your list. And while it’s not quite pedaling season YET, it’s never too early to plan ahead. This is really a snooze you lose sorta situation. If you wait too long, you might miss out. Because these tours actually sell out earlier and earlier each year. Speaking from experience, pedaling to and from bars and/or down the river is a lot less work than it sounds. 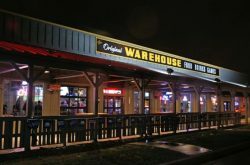 Plus, when you’re pub crawling or boating the normal way, deciding who is going to DD isn’t always easy. Everyone wants to drink and have fun, so let them! 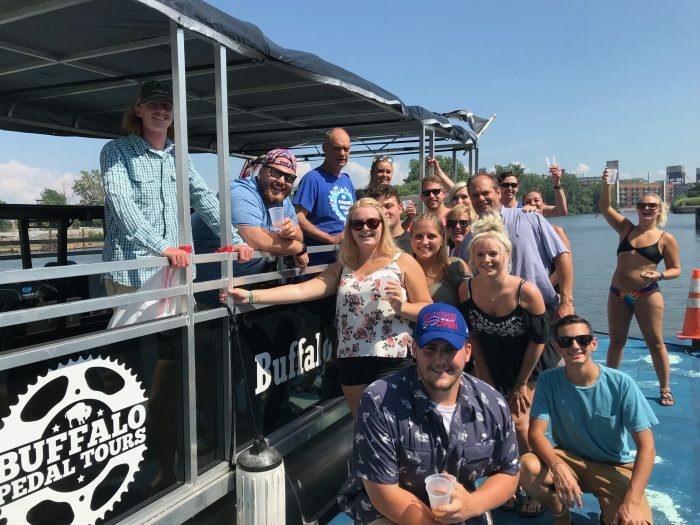 When you book a Buffalo Pedal Bike or Boat tour, your guide is the DD and you can drink the whole time. BTWs cups, ice, and coolers are provided to make planning even easier. Just BYOB. Canned beverages only. 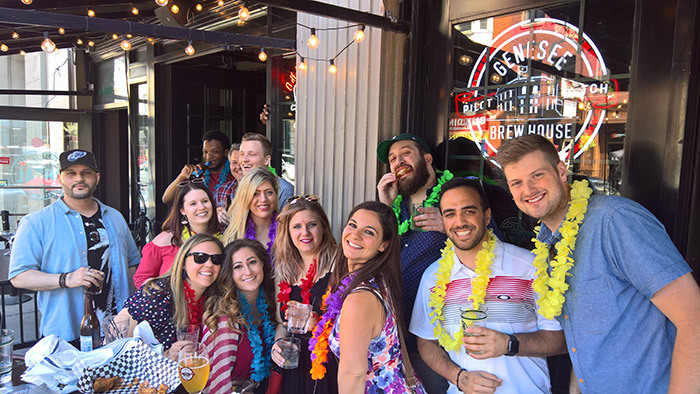 There’s a bunch of different touring options to choose from including a Downtown Pub Crawl and a Canalside Pub Crawl. If you have more specific destinations in mind, you can plan your own tour. Think bachelor and bachelorette party and birthday celebration inspo. If drinking isn’t your group’s favorite pastime, no problem. 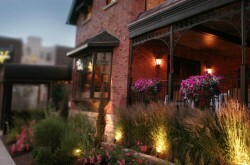 There’s a Progressive Dinner Tour you might enjoy instead. 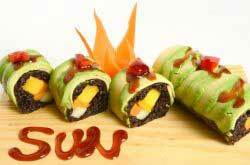 With this tour, food is the focus. You can choose your own stops. 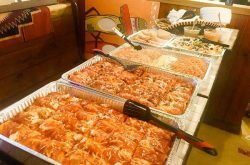 Whether your group wants to hit up all the best spots for wings or you want to check out the best international cuisine around, you can. 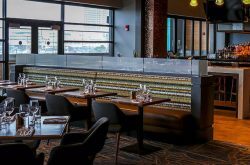 There’s no set menus, but if you ask for recommendations the Buffalo Pedal Tours team is happy to share recs from a list of preferred partners. If you’re super obsessed with Buffalo’s history and architecture, this tour is for you. You’ll pedal pass 20+ of the world’s most important examples of late 19th and early 20th century architecture. While you’re riding, you’ll learn about the history behind our city’s famous landmarks and the legacy that made Buffalo what it is today. If you’re a Buffalo history buff, you need to book this. What else are summer nights in Buffalo for if not cruising down the river, beverage in hand? 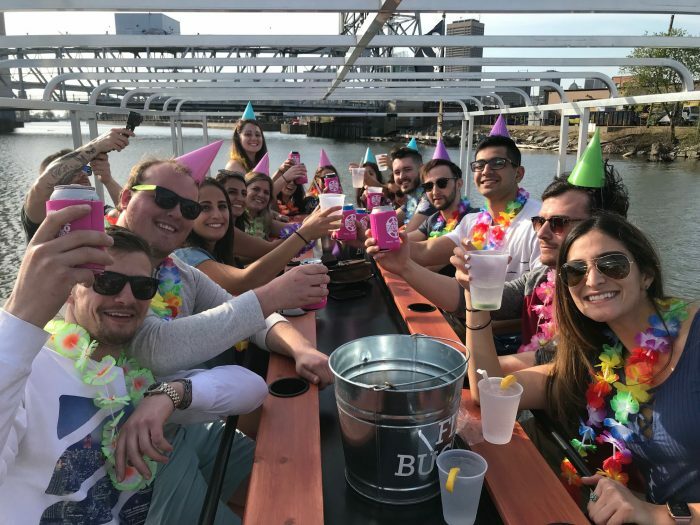 This season Buffalo Pedal Tours has two boating options, and each one has a huge bar where you sit, sip, eat, sing, and more. One boat is pedal capable. The other has a restroom. 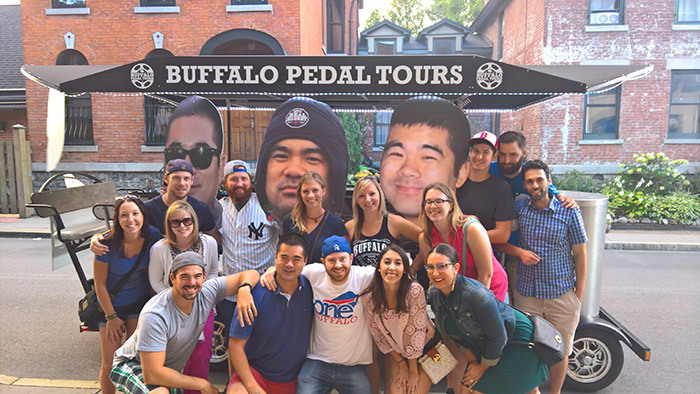 Regardless of when and how you’re touring, booking a tour with Buffalo Pedal Tours can be a really good time. But really, don’t wait until the last minute because you’ll have to deal with the regret later.